Thank you for joining us for this year’s Congressional Networking Reception. View photos from the event here. Each year, The Inn’s leaders and top stakeholders gather with members of Congress and their staff for the annual Congressional Networking Reception. This must-attend event is designed to celebrate The Inn and recognize the importance of supporting children’s health as a truly bipartisan cause. 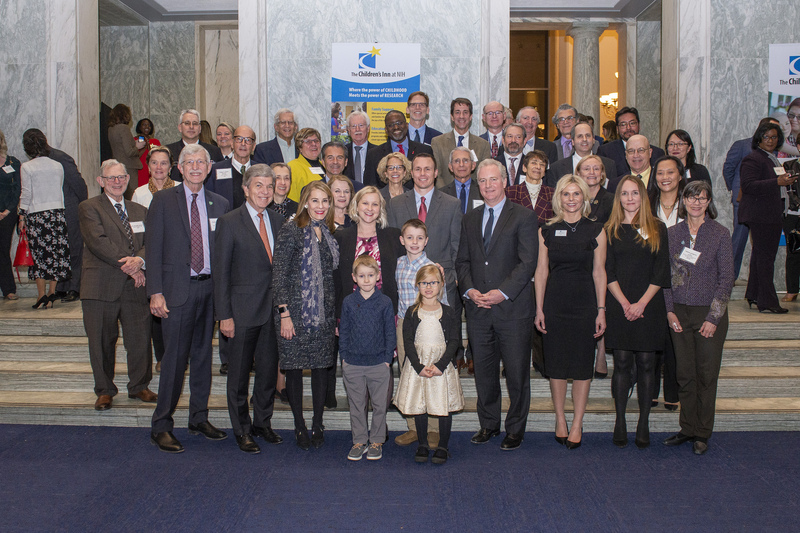 Last year’s event brought together 20 members of Congress, senior staff from several congressional offices, and the National Institutes of Health (NIH) Director, lead scientists, and 14 NIH institute directors along with the Inn’s invited guests. Many companies attending this event support The Inn’s annual campaign to help provide a free “Place Like Home” to more than 1,700 children and families who come to the National Institutes of Health seeking their last best hope for treatment or a cure. Plan to join us on Tuesday, February 26, 2019, from 5:30 p.m. to 7:30 p.m. in the Rayburn House Office Building Foyer. To learn more about the Congressional Networking Reception or to support The Inn, visit our donation page, or contact Anne Mandeville at [email protected] or 301-827-6069. Date: February 26, 2019 Time: 5:30 - 7:30 p.m.